macOS Sierra review: Siri and Optimized Storage features add convenience but can frustrate, as Siri lacks third-party tie-ins, and iCloud storage is too limited — For the last few years, nearly all of OS X’s biggest updates have come in response to iOS. First, the Mac got iOS’s apps. For the last few years, nearly all of OS X’s biggest updates have come in response to iOS. First, the Mac got iOS’s apps. Then it got iOS’s looks. And now it’s even getting iOS’s naming format. This year, OS X is gone and replacing it is macOS — a new iteration on the same operating system, with a changed but still comfortably familiar name. According to the Verge, Perhaps the update is fitting for 2016. With today’s release of macOS Sierra, the latest version of Apple’s desktop OS, the Mac is at long last getting the one feature that’s arguably come to define iOS more than any other, the feature that singlehandedly was supposed to alter the way we use our gadgets: Siri. It’s an exciting addition and something Mac users have been waiting years for. Siri’s been on the iPhone since 2011, and in the meantime, Microsoft and Google have both introduced voice-controlled artificial intelligence on their own desktop operating systems. But the strange, and maybe most encouraging part of Sierra is that, for how big of a deal Siri is, it’s hardly the most useful aspect of the new software. Watch our macOS Sierra preview from June. Still, let’s start with Siri. It’s Siri! It’s the virtual assistant with a helpfulness that’s approximately inverse to the amount of public attention it’s getting at any given moment. (Right as another celebrity showed up in a Siri ad, you were probably struggling to look something up.) But five years later, it’s actually starting to pick up some useful skills. On the Mac, Siri lives in a bunch of different places — dock, menubar, keyboard shortcut — and pops up as a black box on top of whatever you’re looking at, ready to start fielding questions (notably, it is wholly distinct from Spotlight, despite their similar functionality). It can do all of the stuff you’ve been doing with Siri on the iPhone until now, like display sports scores, look up movie times, and solve math problems, Siri can also just open apps for you (e.g., “Open Contacts” or “Open Spotify”). And one of the most useful functions it has on the desktop is the ability to search your files. 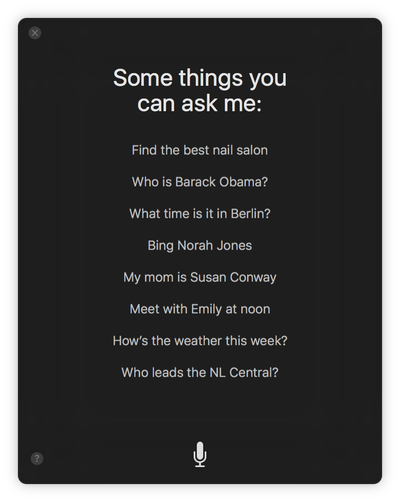 I spent a lot of time asking different questions of Siri and came away both frustrated and impressed. Siri does a good job of looking through your files and is surprisingly competent at handling complex modifiers. So you can say, “Find me every PDF I worked on in the last 30 days,” and it’ll present you with a list of exactly that. That’s the kind of multifaceted query I’d have expected to trip up Siri in the past. SIRI DOES WELL WITH COMPLEX FILE SEARCHES, BUT CAN STILL MISS THE BASICS On the other hand, working with Siri on the desktop can still feel like trying to guess the right passphrase to be let through a door. For example: Siri returned exactly what I asked for when prompted to “Show me emails I’ve received from Dieter.” But that’s not how I’d naturally phrase my request. What I wanted to say — and what I tried first — was “Show me emails Dieter sent me,” but that doesn’t work. The difference? “Sent” versus “received.” It doesn’t make a lot of sense, but it’s the kind of small hiccup that you still have to deal with. There’s also one big limitation to Siri on the Mac right now: it’s not getting any of the third-party integrations that are currently popping up on iOS. That means you can’t use Siri to hail an Uber, Venmo a friend, or order Seamless; you’re stuck going back to your phone and asking Siri there. I suspect Apple will open Siri up to these services sometime down the road, but for now, it’s a noticeable absence and makes its assistance a lot less useful. Siri, or the promise of what Siri can do, makes a lot of sense on mobile, where it’s often the fastest way to accomplish a task. Maybe you’re driving and can’t tap a screen, or maybe you have your phone stuffed in your pocket and are using headphones to communicate, or maybe you’re even wearing an Apple Watch that uses Siri. But on the desktop, I suspect people will have diverging experiences with it. For me, trying to look something up with Siri on my Mac was almost always slower and more disruptive than tabbing over to the right window and typing in my search. But for others, especially people less familiar with desktop computers, the story could be different. Siri’s ability to dig through the file system so you don’t have to could be a real help. It’s not a stretch to say that locating a file you downloaded two weeks ago and only opened once can be a frustrating experience, and Siri can start to resolve that. Assuming Siri can figure out what you’re asking, of course. But here’s the thing about macOS Sierra: Siri isn’t the most interesting part of it. It seems like it should be with all the emphasis on artificial intelligence right now, not just at Apple but at all of the major consumer tech companies. But the most interesting part of Sierra is actually iCloud. Yeah, iCloud. Really! 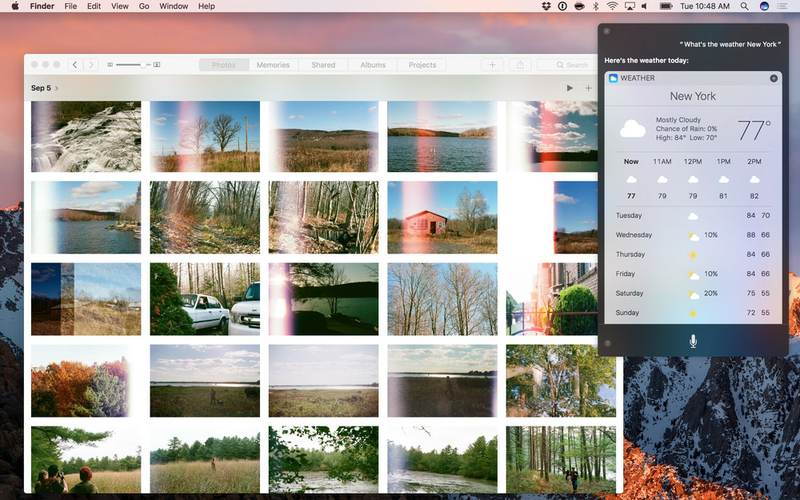 Sierra introduces a pair of very cool new features to iCloud, which don’t just improve the operating system but actually feel as though they’re extending Apple’s hardware. The second feature, and the more important one, is something Apple calls Optimized Storage. In short, Apple will automatically remove files from your computer and store them in the cloud so that there’s always free space on your local drive. I’m not exaggerating when I say that this is an incredible feature. My personal MacBook Air has persistently been running out of space for the last three years. After installing Sierra, I suddenly had 25GB of available storage. THE FREE SPACE IS AMAZING, BUT YOU’RE TRUSTING APPLE TO MAKE THE RIGHT CALLS Optimized Storage is only supposed to remove old files that you aren’t actively using. For the most part, that seemed to be what happened — it pushed my old D&Dmanuals up to the cloud, as well as a bunch of documents from when I was in college years ago. But in at least one instance, I noticed it pushing a file to the cloud that I did need locally: a song recorded by a friend of mine, which I’ve been regularly listening to over the past few months. Recovering files happens as fast as you can download them, so restoring it wasn’t an issue; but I do think I’ll be double checking that any critical files are actually on my computer the next time I’m about to jump on a plane. While I wish there were more granular controls here, Optimized Storage is still a remarkable addition. Apple has historically been quite stingy with storage capacity — hello, 128GB MacBook Air — and this feature essentially lets you extend your drive as far as you want, keeping only what (it thinks) you need and downloading the rest on demand. As someone who’s struggled to free up space every few months for years, this could absolutely change the way I interact with my Mac. There is, however, a big caveat here: you’ll have to pay Apple monthly for all the iCloud storage you want. Apple only offers 5GB of free cloud storage, and that space gets split between photos, documents, iPhone backups, and anything else you put there. It’s so little space that both of Sierra’s big iCloud features are effectively unusable unless you pay. Two quick side notes: since iCloud is already storing your files, I wish it would let you do a full Time Machine backup to the cloud, saving everything on your computer and keeping intact older versions of documents, just in case you lose something. And on a much nerdier note, Time Machine now supports network-attached storage (basically a wireless backup drive connected to your router); I’ve been waiting years for this. There are a bunch of smaller feature additions to Sierra, like Apple putting tabs in basically every interface and bringing Apple Pay to Safari, but there are two in particular that I want to briefly highlight. First, Apple has added something called Universal Clipboard, which is basically what it sounds like; it lets you copy something — text, images, and video — on your Mac and paste it on your iPhone, and vice versa. It works, but there’s a short delay the first time you try to paste something. Still, worth it. Second, Apple now lets you unlock Macs (made from 2013 onward) with an Apple Watch (running watchOS 3). It doesn’t happen instantaneously — I could definitely type my password quicker — but I suspect it’ll be fast enough for most people. AUTO-UNLOCK IS WEIRDLY DIFFICULT TO SET UP The bigger problem? The setting to enable auto-unlock is entirely hidden. You have to activate two-factor authorization in order to even see the setting, and it turns out, enabling two-factor involves jumping through quite a few hoops. (Did you know that Apple has a virtually identical security feature called “two-step authorization”?) Perhaps Apple wanted to use this feature to nudge people toward better account security, but if so, it probably should have done a better job of making people aware it exists; instead, you’ll have to Google for a tutorial. For the most part, Apple’s own apps are unchanged in this update, which is to say, they’re still not that great. Mail is better than you remember, but remains too tailored to Apple’s other apps and services. 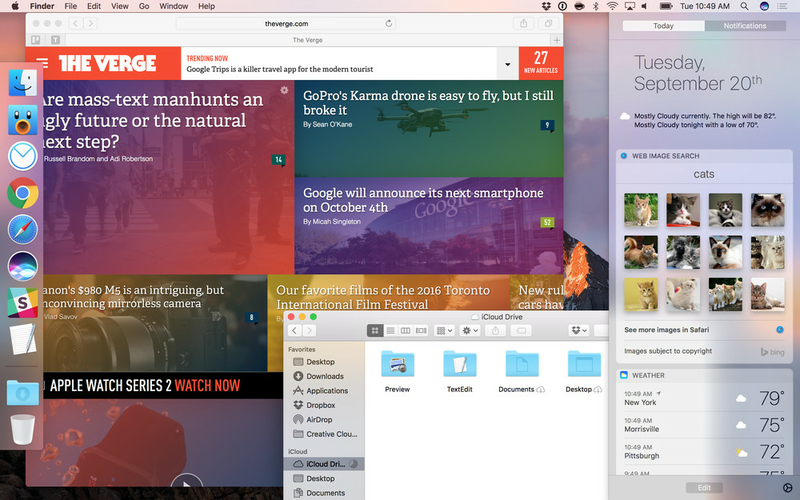 Safari is fine (and way better on your battery), but I personally prefer Chrome. And iTunes… there’s not enough space here to get into that. The one app that is getting a big update this year is Photos, which Apple launched last year with the thankless task of replacing iPhoto and smoothing over years of frustration. 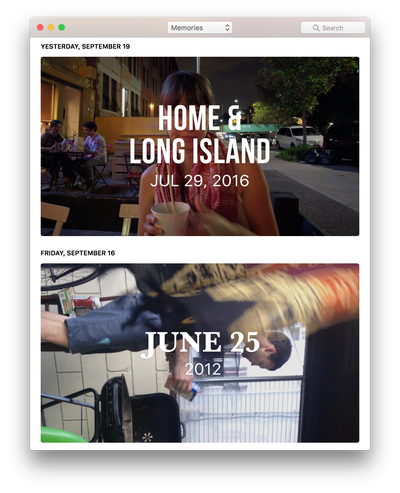 At launch in 2015, Photos was a bare-bones photo viewer with some simple editing tools. In macOS Sierra, it’s pretty much a beat-for-beat clone of Google Photos, the key distinction being that it does all of its photo processing on your local machine, rather than on Apple’s servers. I was prepared to hate Photos — I may still have some lingering iPhoto resentment — but it’s actually a nice app in a lot of ways. Its editing features hit the basics, so you can brighten a photo or remove a blemish, but where it really shines is in giving you ways to explore your library of photos. OBJECT RECOGNITION, SCANNED ON YOUR COMPUTER, IS PHOTOS’ BIGGEST DRAW Apple added two new ways of doing that this year. The first is object recognition, which lets Photos detect what’s in your images so you can search through them by subject — e.g., “beach” or “bird” or “playground.” The second is a new section called “Memories,” which automatically builds photo albums for trips, events, and pictures Apple thinks you’ll want see again. Both of these features are neat, if imperfect. 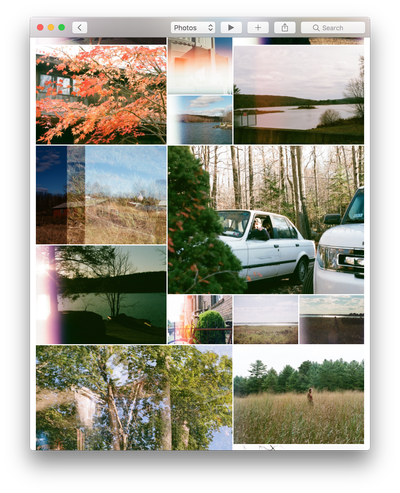 When I searched for “forest,” for instance, Photos identified four pictures, when I’d say there were closer to a dozen. It did better with specific objects, like “fence.” Memories is also hit and miss. At one point, it created an album for me titled “Best of last three months” that included several close-up pictures of my foot, which my girlfriend took as a joke. I suppose that counts as a good memory, but the photos were pretty unflattering. Where Photos does excel is when you’re just browsing around. It uses all of the features mentioned above in a much more casual way, so that when you’re viewing a photo you can scroll down to see others related to it — perhaps a photo with the same person in it, taken in the same place, or on the same trip. It’s a great way to look back through your pictures, and it feels way more natural than something like an automatic photo album for a random set of dates. STORAGE IS PHOTOS’ BIGGEST LIMITATION Combined with Photos on the iPhone, Apple’s Photos apps are turning into solid options for sorting through your old pictures. They’re not as accurate as Google or Flickr when it comes to object scanning, but they’re close. And they come with the benefit of added privacy. But if you’re choosing an app to hold all of your photos, another factor enters the equation: storage space, which can fill up very, very quickly as you import hundreds and hundreds of pictures from your phone. This won’t be a problem for everyone. But for me, there’s no option but to keep them all in the cloud. And that makes picking Apple Photos a much tougher decision. Google offers unlimited photo storage (up to a certain resolution) and Flickr gives everyone a free terabyte of space. Both will scan your photos, but neither requires a monthly payment. If you need space in iCloud — and I suspect a lot of people will — then you’ll have to pay Apple for it. It’s fair to say that Apple has always been behind when it comes to cloud services. Either it’s messed them up (MobileMe), or it’s underwhelmed (early stages of iCloud), or it’s just iterated at a glacial pace compared to its competitors (Google Photos, for instance,launched a new feature on Monday; its last significant update was less than two weeks ago). But Sierra starts to change that, particularly when it comes to iCloud syncing and Optimized Storage. 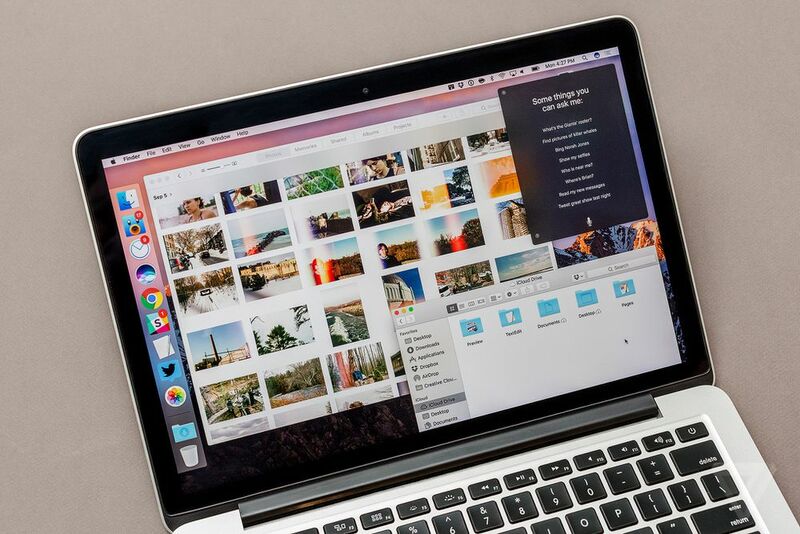 The two features feel like meaningful extensions of the Mac, which is what makes it so disappointing that not everyone will get to use them due to Apple’s decision to charge for even a modest amount of cloud storage. A small iCloud plan is available for $0.99 per month, offering 50GB of space. For me, that’ll probably be enough to store my extra documents; in fact, I’ve signed up, and I intend to keep paying. But it’s not enough to store my photos, so for that, I’m sticking with Google. SIERRA’S BEST FEATURES ARE LIMITED TO THOSE WHO BUY ICLOUD STORAGE One has to wonder why Apple, among the wealthiest companies in the world, would even bother charging $0.99 per month for a basic amount of storage if it really wants these features to create a better experience for everyone. (I seem to recall a designer once saying that file syncing is “a feature and not a product.”) If Google is able to give a free 100GB of storage for two years to everyone who purchases a $300 Chromebook, certainly Apple can offer more than 5GB to everyone with a $1,300 Mac. I don’t think that it needs to give away 100GB or even half of that, but what it offers now simply isn’t enough. So to the annual question: should I update my Mac to the new OS? So long as you’re on recent hardware, I don’t see a reason not to. (My five-year-old Air has been having a tough time, but my three-year-old Pro hasn’t slowed in any noticeable way.) 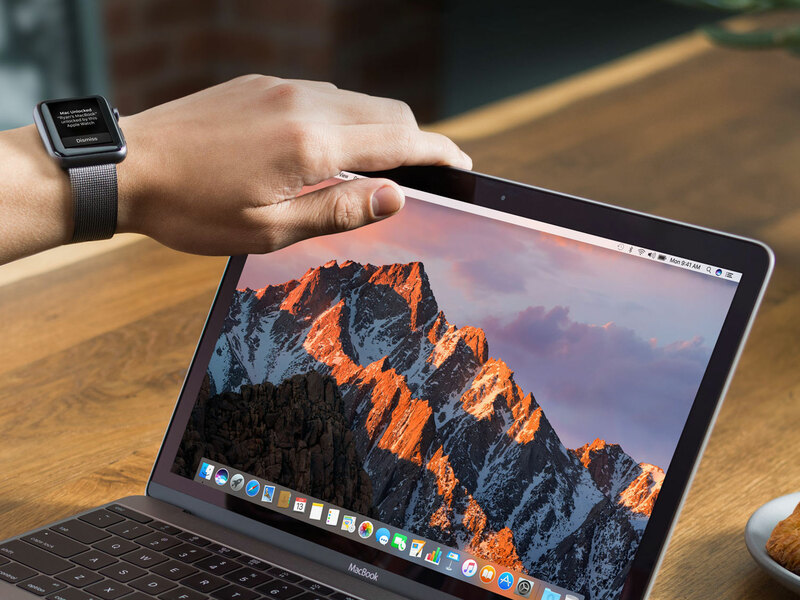 MacOS is at its core a great operating system, and this year’s additions don’t worsen the experience in any way. 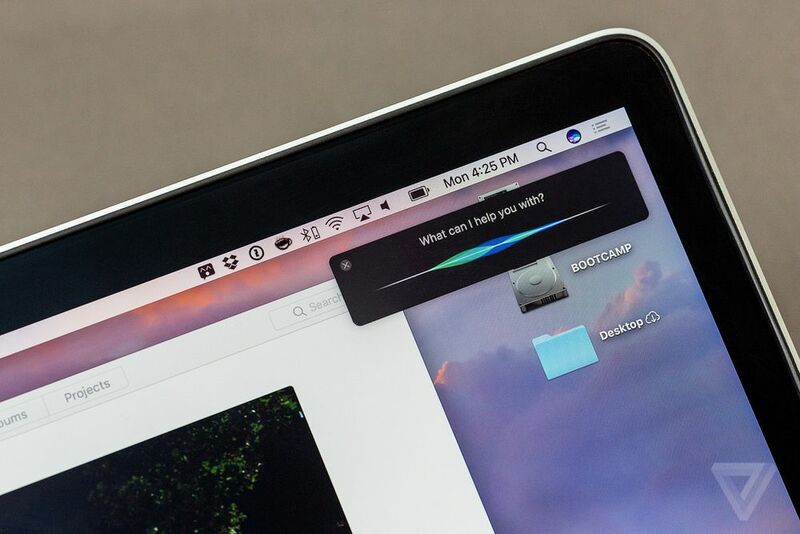 Sierra adds some handy new features, and while Siri eternally feels like it has room for improvement, everyone loves playing with it at least once in a while. Plus, it’s a free update. There’s not much to lose. But will Sierra meaningfully improve the Mac? That’s up to you and your wallet. Sierra’s best features require you to pay Apple month after month, with no end in sight.